Dr Joel C Scalera DDS PA is committed to making our website usable by all people by meeting the requirements of the Web Content Accessibility Guidelines 2.0 Level AA. 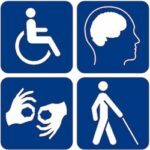 We have conducted an accessibility review of this website and have remediated any issues identified during that review. Please be aware that our efforts are ongoing as we incorporate the relevant improvements to meet WCAG 2.0 AA guidelines over time. If you have specific questions or concerns about the accessibility of this site or need assistance in using the processes found on this site, please contact us at 321-259-3283.